What is a feed inventory? Doing a feed inventory establishes your current stock of various feed ingredients. Generally, the process involves determining the volume of each feed stored and then multiplying by the stored density to yield a weight of feed. 15,000 cu ft x 40 lb AF /cu ft = 600,000 lb = 300 T as fed. Dairy Freestall Housing and Equipment (MWPS-7). Tables of quantities of feeds in various storage types. Call 1-800-562-3618 or https://www-mwps.sws.iastate.edu/catalog/livestock/dairy/dairy-freestall-housing-and-equipment to order. Cost of Forage Storage Spreadsheet – look in the help section for calculators for storage areas for bags, piles, bunkers, silage bales, etc. Feed inventory management is slightly more complicated. With inventory management, you are predicting how long an ingredient will be available to feed and making adjustments accordingly. If the projected date to feed depletion occurs before a new crop comes in, you need to consider if you will reduce the rate of consumption to extend the feed ingredient, purchase more of that feed, substitute an existing feed ingredient into the ration or a combination of these choices. How long will my feed last? Will feed need to be purchased? When is the best time to do a feed inventory? October/November – allows you to make a projection to see if purchased feed will be needed or if the consumption rate needs to be adjusted. This allows needed purchases when commodity prices are apt to be lower in winter and will allow purchases before December 31, assisting in tax management. February/March – allows you to make a mid-course correction prior to the harvest season. Estimates of density will be more accurate after having fed from a storage for a while, so estimates of quantity stored will be more accurate. June/July – allows you an early warning of inadequacy of feed supplies for the up-coming feeding season. Purchases of standing crops remain an option if deficiencies are discovered. 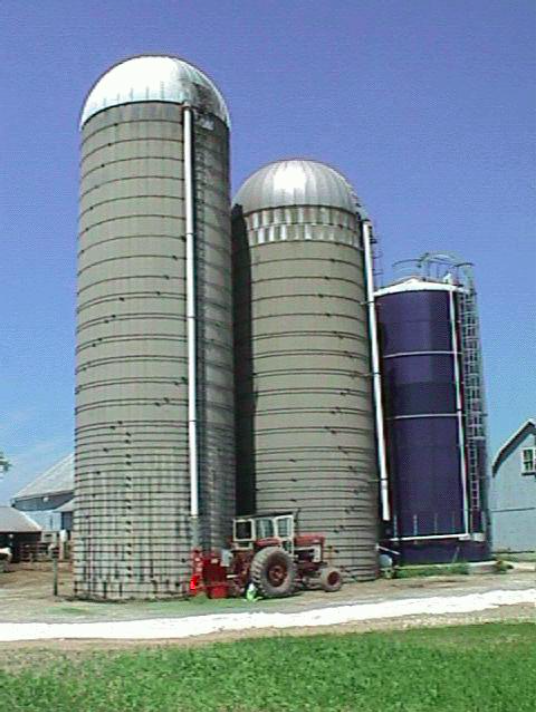 Anytime you are required by a lender to provide a balance sheet, a feed inventory and the feed value is needed. Where can I get help with inventory management? The information available from the sources in this article will be of help in doing your inventory and its management. Don’t overlook the assistance available from UW Extension county agents and well-trained nutrition professionals who can help you with these issues and decisions.